Featured in ULI's "Multi-Family Trends"
Supporters of a less congested 32nd Street Farmers Market area have unveiled detailed conceptual plans for "Waverly Commons," envisioned as a redeveloped area with a traffic roundabout, a pedestrian promenade and a public plaza. And a family that owns property that would have to be torn down has signaled its support and its willingness to sell the buildings for redevelopment. "I think it's a very good idea," said Brad Adler, of Owings Mills, whose family co-owns more than a dozen properties at 32nd Street and Merrymans Lane, next to the Baltimore City-owned parking lot where the Saturday market sets up. The unfunded master plan, with several key elements that would have to be approved by Baltimore City, was shown to more than 30 people from Oakenshawe, Charles Village, Abell, Waverly and Old Goucher at a meeting Oct. 8 in the Waverly Library. "Perhaps we could attract some investment to the area and really make this something the community could be proud of," Karen DeCamp, director of neighborhood programs at the Greater Homewood Community Corp., told the crowd. 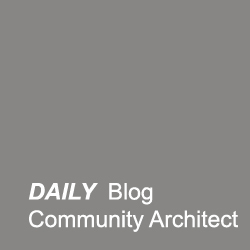 Taking the lead in designing the Waverly Commons plan is the Neighborhood Design Center, a nonprofit whose goal is to help communities with improvement projects. Other project participants, all on a volunteer basis, include local architectural firms Sanders Designs, STV, ArchPlan, and AECOM, and the engineering company Kittelson and Associates. The master plan has not been presented to city planners and no cost analysis has been done. "We want to get the juices flowing," said Trey Shamer, an intern architect with Sanders Designs, of Cockeysville. The master plan is important because the market "is such a vital, integral part of what's happening in the community," said Kristen Humphrey, coordinator of the Neighborhood Design Center's "greeNDC" (stet) program. The most closely watched idea is for a traffic roundabout at Barclay Street, East University Parkway, Merrymans Lane, and East 33rd Street, designed to relieve traffic congestion at the busy intersection. "I think everyone will agree the intersection of University, 33rd and Barclay is a mess," said Ed Myers of Kittelson & Associates..
"It's a disaster from a traffic safety perspective," DeCamp said. And Ed Myers of Kittelson said studies show that most of the nation's 2,500 roundabouts "are overwhelmingly safe." But reaction from the audience to a roundabout was mixed. "Roundabouts scare the heck out of me," said 40-year Abell resident Connie Whiting. "That's why they're effective," countered Matthew Mosca, a resident of Oakenshawe. Another option would be to make University Parkway one way, northwest, and Merrymans Lane one way, southeast, from the intersection of 33rd and Barclay, and re-signalize the traffic lights there. Under either option, Merrymans Lane would be closed to traffic between Brentwood and Greenmount avenues, and would become a pedestrian promenade between Greenmount and the plaza.. Mosca suggested extending the promenade toward 32nd Street into Waverly, an idea that drew positive reaction from the audience. Other ideas in the master plan include gateway landscaping and signs to give the market more identity, a public art component, decorative bike racks, seating areas, and solar canopies for shade and electricity. Charles Village Civic Association member Sandy Sparks suggested widening the main market aisle for vendors and customers, which tends to get clogged. That idea also drew positive reaction from the audience. Many at the meeting said they hope to make the 32nd Street Farmers Market a gateway to the Greenmount commercial corridor, so people can walk safely from surrounding communities to stores. "We want to make Greenmount Avenue better," said Ebony Edwards, manager of the community organization Waverly Main Street. "We want to make 33rd Street better. We want to make sure we do the whole neighborhood." For Edwards, the goal is "take Waverly to the next level." The roofs were leaking and about to cave in, the floors were unstable and the walls were practically peeling away from their supports. Structural engineers had said the buildings were at risk of collapsing. But for almost a decade, in a small back room inside these two aging Southwest Baltimore rowhouses, the artists of the Black Cherry Puppet Theater found a place to chisel, carve, sew and paste their handcrafted puppets and prepare tours for children and adults throughout the Baltimore-Washington region. Though the puppeteers never allowed the decrepit structures to interfere with their artistic passion, the 22-year-old theater’s co-director and founder, Michael T. Lamason, admits, “the building was literally falling down.” He and the other puppeteers used a wood stove in the winter, and tried to avoid walking through the front of the buildings. But after five years of fundraising and renovation work, the marionettes and their makers are close to having a comfortable and safe facility, where the artists will have more space and resources to not only create their puppets and stages but also to perform in-house shows. Indeed, it will be Baltimore’s first permanent puppet theater. The $500,000 renovation ? which is only half-complete ? of the rowhouses at 1115 and 1117 Hollins St. will provide space for a 50-seat black-box theater, puppet construction studio, offices and storage space. The theater area will be used for education, rehearsal and studio space when not in use for performances. The project will also make way for an outdoor performance area on the two adjacent vacant lots, and a Puppet Resource Center to include a library of Black Cherry’s collection of literature and historic puppets from around the world. Founded by Lamason and William B. Haas, both then students at the Maryland Institute, College of Art, the Black Cherry Puppet Theater got its start as a touring production. During its first summer in operation, it performed such acts as “Hansel and Gretel” and “Billy Goats Gruff’kin” for children at 107 summer camps throughout Baltimore. But the refurbished space will allow the group to become more established in the community, enhance and increase its performances and focus more on developing education programs. Further, the renovation is a major boost to the Southwest Baltimore neighborhood ? once a booming artist community but now plagued by drugs and crime. In 1997, the Black Cherry Puppet Theater approached the community with its proposal to renovate the two rowhouses. The first structural engineer said it couldn’t be done and the rowhouses, which are located in a historic district, would have to be demolished. However, Baltimore-based Southway Builders Inc. and its subcontractors were able to get the job done despite its challenges. 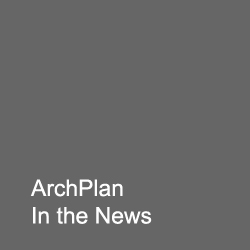 Klaus Philipsen, president of ArchPlan Inc., Philipsen Architects, the project architect, agreed. “It looked very scary in between,” he said, adding that at some points the team wondered if a strong wind would blow down the structures. However, an intricate network of shoring was set up to hold the structures in place. Today the brick façade has been repointed, the cornices replaced and the front windows adjusted to create a unified storefront. “That all went flawlessly. Nothing fell down,” Philipsen said. “Aside from the stressful nature of tearing down a major party wall between two buildings, it was pretty standard,” Duke said. Given the project’s tight budget the interior design ? the second phase of the project ? will be a “raw as possible,” Philipsen said. Panels will cover the lower portions of the walls to dampen acoustics, while the upper sections of the walls will feature exposed brick. “It’s a bit of a labor of love. There are no huge profit margins for anybody. It had to be designed frugally,” he said. 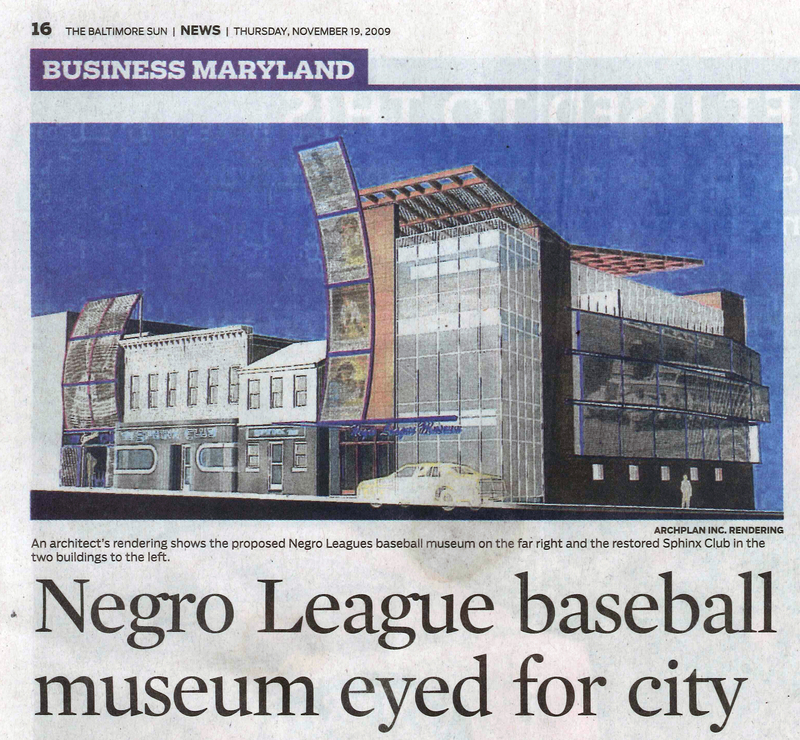 The first phase of the project cost about $300,000, which was contributed by such donors as the William G. Baker Memorial Fund, Abell Foundation, St. Paul Cos. Foundation, T. Rowe Price Foundation, France-Merrick Foundation, Baltimore Neighborhood Incentive Program and Maryland Business Development Program. Today Lamason, who works for the theater full time, and Haas, who also works for the Maryland Science Center, can focus on their art, rather than worrying about the roof caving in. Although the interior is still unfinished, the theater is already making use of it. Life-size puppets, or macajumbies (a name they borrowed from Pee-wee’s Playhouse, in the shape of colorful birds, skeletons and other imaginary forms) hang on the walls. A stage set up for a showing of Hansel and Gretel sits in the middle of the room. An assortment of paints and several different saws for creating puppets fill the back room. Furthermore, the artists can explore their creative energies now that they are able to perform in-house acts. The touring performances limited the artists in the scale and number of props they could use because of the time- consuming and exhausting travel. “We can become a little more daring in our ability to do certain things,” Haas said. Instead of creating and repairing the puppets in the small room at the rear of the facility, the artists will have almost the entire third floor to repair the puppets and make the puppets’ clothing and props. The second-floor balcony will hold stage lighting. The first floor will be flexible, serving as space for education, rehearsal and studio space when it’s not being used for performances. “Who knows what’s going to happen in here,” Lamason said, as he pulled the strings of a Hansel and Gretel puppet from atop the stage. To add a creative touch to the space’s design, the Black Cherry Puppet Theater will place puppets in the display window and a silhouette of Punch and Judy on the exterior facades. The theater’s directors anticipate that a permanent home will strengthen the Black Cherry Puppet Theater’s ties to the community. They expect educators, students, children and the public to attend indoor and outdoor performances and peruse the resource center. “We can develop a certain amount of predictability,” Haas said, adding that as a tour-only troupe, it had been harder to inform the community about the theater and its resources. Lamason has been leading efforts to develop education workshops in which puppetry is integrated into school curricula. He expects that program to grow as the community becomes more aware of the theater. “One of our goals is to develop the art and get more people involved,” he said, adding that the theater has begun to conduct workshops for adult groups as well. The group recently was awarded the Cherry Adler Award from the Maryland State Arts Council for their education programs and dedication to the art of the puppet. Community members eagerly await the completion of the theater. The Hollins Market area was once teeming with artists and hip cafes. However, the popular Gypsy’s Café on Hollins Street collapsed recently. Crime and drugs have pushed many artists out of the neighborhood. But with Hollins Market set for a renovation and the Black Cherry Puppet Theater project renovating four lots on the block, things could start to turn around. A group of local artists has formed SoWeBo Artists and is working to develop the arts in the neighborhood. “We’re very neighborhood oriented. This is first and foremost space for our neighborhood,” Lamason said, adding that the theater would welcome children and adults to casually stop in. Art of the Everyday at the Marlborough Exhibit: The current residents of the apartments - once home to the Cone sisters - learn about, and create, art. weekend in newly renovated galleries. But it's certainly a charming bird. in 1949. Claribel died 20 years earlier. now seem warm and comfortable and utilitarian. residence at MICA, directed the project. actual plan and to decide how could we connect with these residents." etchings. Some also did their own artwork. party under way at the BMA last night. museum for the first time with the project. says. "And we just worked on it ourselves." But she didn't really care for the art in the Cone Collection. country scene faintly Kinkaidesque and a view of Mount Fujiyama. machine operator, and she's been a dressmaker. solo. He did in fact call one stitch-work riff "Jazz." "Yeah, I liked it," he says. "It keeps your mind clear." little bit out there," he says. didn't. But I did. I sat there, and I really enjoyed it." occurred a couple months ago, and his honorable discharge from the Navy. he lived on their floor. And he wasn't too impressed, either. But Suggs has always been impressed with the Marlborough. and I delivered cars here," Suggs says. "At the side door, downstairs. Americans living at the Marlborough were servants. here, I said, 'Well, I ain't going to move no more. I'm through moving.' "
Preservation: The owners of Samester Apartments are honored for their $1.5 million restoration of the Art Deco complex on Park Heights Avenue, one of several projects recognized by Baltimore Heritage. When new owners purchased the Samester Apartments in Northwest Baltimore in 1998, they could have wiped away many of the Art Deco touches that make the building so unusual. Instead, after consulting with their architects, the owners restored details that help distinguish the 1939 apartment complex from many others up and down Park Heights Avenue, such as bull-nose columns and glass-block windows. Today, it stands as the most fully developed (and restored) Art Deco-style garden apartment complex in Baltimore. "They had an Art Deco gem, and they realized it," said Klaus Philipsen of ArchPlan Inc., the architect responsible for the restoration. "We helped them by getting it designated a national landmark and planning a restoration that brought it back to life while strengthening its Art Deco character," he said. Named for Sam and Ester Hammerman, the parents of builder Samuel Hammerman, the 74-unit Samester Apartments at 7000 Park Heights Ave. is one of six restoration projects that will receive awards next week from Baltimore Heritage, a citywide preservation advocacy group. Baltimore Heritage's board gives annual awards to recognize excellence in restoration, renovation, rehabilitation or adaptive reuse of individual structures or groups of buildings. The award for the $1.5 million Samester Apartments restoration will be presented to ArchPlan and the owner of the apartments, an affiliate of Struever Bros., Eccles & Rouse. Gabriel Kroiz, whose grandparents once lived in the building, was the project architect for ArchPlan, and Philipsen was the project director. Home: Technology and design promise to make the house of tomorrow a friendly and helpful place. ?But some changes are expected to go beyond technology. Architect Klaus Philipsen is "half-predicting, half-hoping" that society-or at least the part of it driven by the dominant baby boomers, born between 1946 and 1964 -- is on the verge of "a quantum leap from quantity to quality. "In their younger years, he said, boomers were primarily interested in amassing goods, showing off their ability to earn higher and higher compensation.They cared about investments and commodities, and when they bought a new house, their only concern was, "How much can we sell this for? "The result was a big market for "tract mansions," remote subdivisions full of 4,000-square-foot dwellings on lots of several acres. "But when we get older, there are some other things that matter," Philipsen said.Boomers getting older and more frail won't want to live in a distant suburb where they have to drive long distances for necessities. They won't want to mow a 5-acre lot. And they won't want to be alone in a five-bedroom, five-bathroom house.They'll want to live in communities, Philipsen said, where amenities and necessities are readily available, where people are connected, rather than isolated.As physical needs grow more immediate, people will be more concerned with staying put, rather than with moving-a trend, he said, that's already reflected in dropping mobility rates for the nation as a whole.And as people stay put, they'll be more interested in the quality of their surroundings, rather than the quantity, Philipsen said.It would mean, he said, "that design would start to matter. "He sees some evidence of that in the quality and availability of food in grocery stores and specialty markets-things no one paid much attention to five years ago, such as arugula, chipotle peppers and shiitake mushrooms, are readily available. More and more restaurants are concentrating on high-quality, fresh, regional cuisine. And stores like IKEA, the design-conscious giant home furnishings chain based in Sweden, are edging out the shops purveying fake "Colonial" and "Mediterranean" styles. Klaus Philipsen, head of local architectural and planning firm ArchPlan Inc., believes that architecture and art go together. "Art can enhance architecture. It's becoming integral, not just something that you stick on or that stands alone, like a statue," Philipsen said. In two projects in which Philipsen's firm is involved, art is playing a substantial role. At the Marlborough Apartments at 1701 Eutaw Place, "we are creating exhibit spaces on all the floors, which recall the history of the building, and the life of the Cone sisters, and provide an opportunity for current residents to exhibit objects from their collections," Philipsen said. The 10-story apartment building, which is being renovated, was once the home of Claribel and Etta Cone. Their collection of pictures by Matisse, Cezanne, Picasso and other early 20th-century artists is one of the Baltimore Museum of Art's great attractions. Philipsen is working with George Ciscle, an exhibit consultant and former art gallery director in Baltimore, on integrating the art with the architecture. At another project in which ArchPlan is involved, a former apartment building and church chapel at 2100 Eutaw Place is being converted to a community outreach center and day care center. A frieze, composed of colorful tiles, will be incorporated into the exterior of the chapel. Developers held an all-day forum with officials, planners, public and the owner to gain consensus on redevelopment. PHOENIXVILLE - When Phoenix Iron & Steel Co. shut down in 1987, many of this town's residents lost more than their jobs. Their identity began to slip away as well. Although some people may lament the proposed residential and retail development of the old steel-mill site, others accept that the revitalization of downtown is tied to the development of this now-desolate stretch of land just off Main Street. The property's owner, Phoenix Property Group, is hoping to head off an identity crisis by including residents in the planning process for the site. Newly elected Borough Council member Anthony DiGirolomo said he believes the memory of the mill has been holding back progress. "Once we realize the mill isn't going to come back," he said, "we can move on,"
In the spring, Phoenix Property presented the borough's Planning Commission with a detailed plan for the site, now cleared of all but a few rusted remnants of industrial infrastructure. The plan focuses on restaurants and retailers, residential and office space, with efforts to develop the waterfront along French Creek. To streamline the approval process, the company called for a "design charrette." The concept: Get everyone in the same room at the same time and on the same page. So last week, developers, planners and architects; local, county and state officials; and members of the public convened at Columbia Station for the all-day forum. 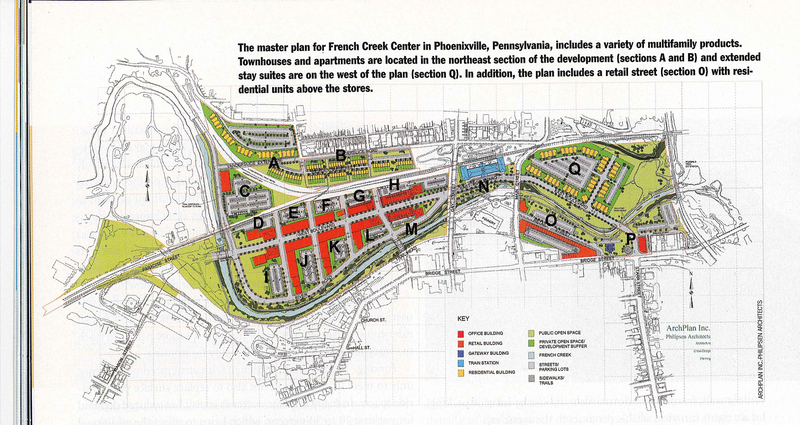 With a charrette, said Bruce Mowday, a consultant with the nonprofit growth-management group Chester County 2020 Trust, "you get everyone with a stake, from the borough, the planners, elected officials, the public and the owner, involved in the process." Then there are few surprises when the ribbons are cut. Although agencies such as the Pennsylvania Department of Environmental Protection and Federal Emergency Management Agency will have to sign off on the plan's environmental issues, their approval also considers civic acceptance. For that reason, 157th District State Rep. Carol Rubley (R., Chester), who attended the forum, praised the developers' efforts to keep the public informed. "So often with any kind of land-use proposal, people start to react viscerally," she said. "They don't often step back and look at the whole project." And when residents are left out of the loop, she said, misunderstanding spreads: "Sometimes that can detour the entire process." Klaus Philipsen, lead designer for Phoenix Property, and his Baltimore architecture firm, ArchPlan Inc., have experience with former industrial sites. "The steel site is a wonderful example of where smart-growth ideas can be applied," Philipsen said. "There are many mixed-use opportunities across the country, but only a very few have the trappings you have here." Of primary importance, he said, is the site's location in rapidly growing Chester County. Furthermore, it is downtown, along a proposed Reading-to-Philadelphia SEPTA route, and is a former industrial-use site. All this bodes well for successful reuse of a site that he called "basically a black hole in the center of town." Philipsen said the charrette concept is intended to level the playing field between developers with political connections and the public. "It used to be that you come in and hit the other guy over the head with a hammer. . . . It's not about whoever has the biggest hammer [anymore]." Although developers are still concerned about making money, he said, they are realizing that successful fruition hinges on consensus. ". . . Anyone can derail anything these days," he said. "It ends up in court and things come to a screeching halt." This is a prospect that Walter Logan, president of Phoenix Property, would just as soon avoid. "By involving the public in the early stages, it has a tendency to cut down some of the criticisms that can come up later on," he said. Logan expects his group to present a modified proposal to the borough Planning Commission at its February meeting, and hopes to break ground in 2001. "The charrette a short, intensive design or planning activity is a workshop designed to stimulate ideas and involve the public in the planning/design process. It is a valuable tool for setting the foundation for the development of a more formal plan. It is not a substitute for the formal planning and design process, but can be integral with it. 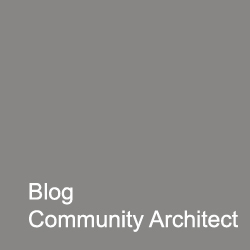 A well run charrette can be a tremendous resource to the community, and a lot of fun." 1) Extensive, creative input from the community about programs, facilities, location and other issues. 2) An answer to the question, "Is it feasible for the Library to be in the Borough financially, physically and within the stated tune frame?" The most important reason for conducting a charrette is to gather all sorts of ideas and opinions without "working" them. No one is right. No one is wrong. Every idea is a valid one. The charrette was attended by about 155 people from the Bayard Taylor Library service area. In addition to the many members of the general public, the charrette was attended by township supervisors, library board members, Kennett Borough councilors, Kennett merchants and shopkeepers and Chester County Commissioner Andrew Dinniman. The charrette sparked lively discussion among those who attended. No one disagreed that the library needs to expand both its services and its facilities to meet the changing needs of our rapidly growing area. The charrette facilitator was David Davis, President of the Chester County 2020 Trust. The charrette opened with greetings and brief comments from Kennett Square Mayor Leon Spencer and Library Board President Robin Vannote. They were followed by David Ward, Chester County Planning commission Staff member. Mr. Ward discussed the role and importance of the community library as a cultural facility in the county's "Landscapes" Plan. He also provided information on the projected 20 to 30 per cent growth of the 8 municipalities, which make up the Bayard Taylor memorial Library's service area. Mark Thompson, architectural consultant to the library board then made a presentation based on the study and projection that he had done of the libraries space needs. Major considerations included ease of access and parking by library users and the ability to meet the library's needs for at least twenty years and beyond. In his study he identified seven major and three sub ordinate activity or function areas that his study identified. These included parking, literacy, entrance and lobby, meeting areas, museum area, children's library, and circulation, with the subordinate areas in circulation including stacks and reading area, reference and technical services and staff and receiving area. Total space need was projected at 37-40,000 feet with costs varying from $100 to $300 per foot of area. Thompson emphasized that his study had emphasized the conceptual needs for the library and had not included any specific design. Spatial relationships between functions were identified for functional purposes only and the work of specifically designing a building would subsequently fill in the details as to what was next to what and how far from one activity to another. Thanks to the Chester County 2020 Trust, Klaus Philipsen, President of ArchPlan in Baltimore, MD was able to speak to the attendees and set the tone for the charrette. Philipsen's firm specializes in urban revitalization, building rehabilitation and adaptive reuse, historic preservation and transportation panning. He was also the facilitator for the nearby Phoenixville charrette. Philipsen spoke about the importance of defining the community and the various cultural facilities and how their roles should all be blended into urban form to create the sense of community that people are increasingly looking for in their lives today. He cited the library as an example of the social capital reaching far beyond its role as a storer and provider of books. He also touched on the changes occurring as a result of technology and how the role of libraries has grown and adjusted even though some had projected that they would be replaced by TV and then by the Internet. He concluded by urging people to put aside their pre-conceived notions and look at the questions creatively, drawing on the energy and interaction of the group to come up with more and better ideas. A community center role, with community facilities and gathering spaces for both library and other cultural and social events was mentioned by all groups as an important feature. More resources in terms of books, CD's, computers, movies, etc. Three design professional firms from the area, Bernardon and Associates, Dennis Melton Architects and Jeffrey A. Norman Architects had volunteered their services to provide some conceptual design solutions for libraries on three sites. Two of the sites were in the borough and included the present general area and the old A & P property at the west entrance to the borough (hereinafter called the Pia Site). The third site was the Ferguson Tract, on the top of Millers hill across from the new PECO office complex, which the library board presently has under contract. Each of the sites was evaluated in terms of its ability to provide adequate space for a building of 35 to 40,000 square feet and for parking. Interaction with the audience was encouraged and a number of interesting points were made. Following the architects presentations, a second round of break out sessions was held with each group discussing and responding to the various ideas suggested by the architects as well as adding their own suggestions and recommendations. Communication fostered by the charrette resulted in numerous lists, diagrams, sketches and a number of common elements that should help guide the library board as they continue in the process of designing an expanded and modern library. Potential for shared use with other community activities was a plus. Trees and natural surroundings are attractive Fits one Story concept although this needs careful evaluation for future expansion potential. Utility service and storm water management need more exploration Groups were divided about potential for multi-tasking on this site Not pedestrian accessible Traffic concerns Zoning issue may be major or minor Proximity to Longwood shopping centers facilitates multi-tasking Less accessible to poor and elderly in borough Sprawl contributor or non-contributor various groups had different perspectives. Potential for visually appealing, landmark building A detailed report on the sessions including copies of all the documents distributed by various parties, a transcript of the presentations and copies of the various exhibits has been prepared and is available for examination at the Bayard Taylor Library, Kennett Square Borough Hall, Kennett Township Building, East Marlboro Township Building. Paris has one. Copenhagen has one. San Francisco just opened one. Should Baltimore have a design center? That's the question local architects and planners are asking as they seek ways to improve the quality of architectural design and urban planning in the city. The Baltimore chapter of the American Institute of Architects will sponsor a free public forum from 6 p.m. to 9 p.m. June 26 to give participants a chance to discuss what a design center could do for Baltimore and see how much local interest there is in creating one. The forum will be at the Load of Fun studios, 120 W. North Ave., in the Charles North arts and entertainment district. Klaus Philipsen, a local architect and co-chairman of the Urban Design Committee of Baltimore's AIA chapter, said the idea of a local design center has been discussed on and off for years. It came up again recently during brainstorming sessions for ways to revitalize the Charles North district. The idea, he said, is to create a place where people can learn about and discuss design issues in a forum that's not possible at present. Baltimore has many different organizations whose members care about architecture and urban design issues, including the American Institute of Architects, Neighborhood Design Center, Urban Land Institute, Baltimore Architecture Foundation, Citizens Planning and Housing Association, the local chapter of the American Society of Landscape Architects, Baltimore Heritage, Preservation Maryland and even virtual communities such as the EnvisionBaltimore listserv, he said. Design issues also are explored, he noted, by college students at Morgan State University, the University of Maryland, College Park and Maryland Institute College of Art, among other campuses. But even with all this activity, there is no central location where people can educate themselves about a pending design issue or planning effort, or see design exhibits the way they can in Chicago or New York. "What we don't have is a place where ... you know that design is discussed and you can see what is happening in Baltimore," Philipsen said. The purpose of the meeting next week is to find out who might want to pursue the idea. No specific location has been identified for a Baltimore design center, he said. "It's a litmus test to see if there is interest and, if so, what should be in it" and where it might be, he said of the meeting. "Everything is on the table right now." Some design centers are primarily commercial settings where designers and clients select furniture, fixtures and textiles, but that isn't primarily what is envisioned, said Craig Purcell, another local architect who has been involved in the preliminary discussions. He said he envisions a design center as "a place for exploration and communication and exchange of ideas." He said it would be an urban laboratory where students from different colleges might share facilities, and where people could learn about the latest redevelopment plans for the State Office Center or the East Baltimore renewal area or Charles North. Depending on who runs it, he said, elements likely would include an extensive design library, galleries, academic studios and meeting rooms. Once it becomes established, he said, it could anchor a larger design district that could include commercial space for designers and showrooms for companies serving the building industry. Part of the discussion, Purcell said, also will involve identifying who might take the lead in funding and operating a local design center. 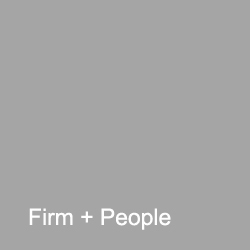 It could be professionals, educators, community groups or some combination of the three. In recent years, several groups have worked to raise funds and create a design and history center inside the former Peale Museum on Holliday Street, a city-owned building a block from City Hall, but they have not obtained a lease from the city. Ann Stacy, who recently became executive director of the nonprofit Baltimore Architecture Foundation, said she would still like to see the Peale Museum become the home for the architecture foundation and others. But she said she plans to attend the June 26 meeting to see what people have in mind. Purcell said he believes a design center ultimately would be a place where the next generation of Baltimore architects and planners could come together and help map the city's future. Ideally, he said, "this is about taking Baltimore forward and raising the caliber of design."